Written by Jose Fernandez, BA (Hons) VFX student. 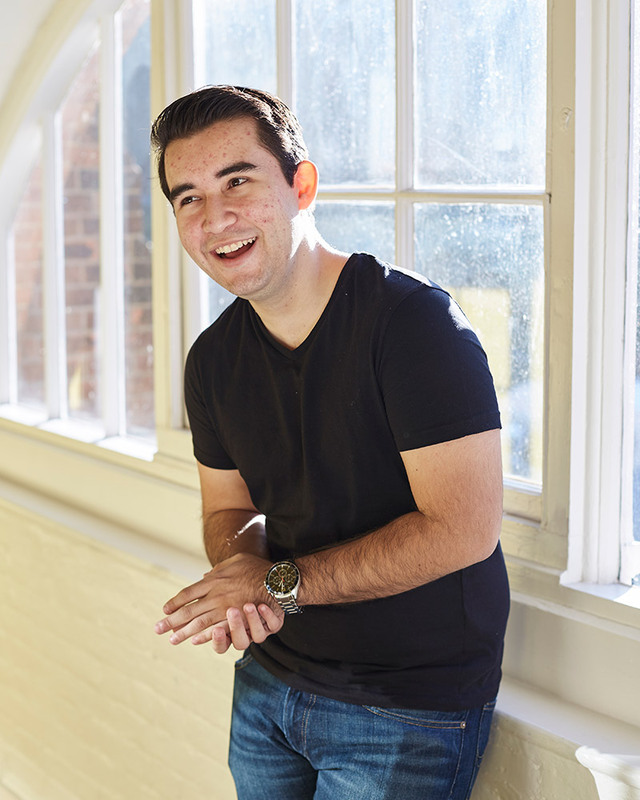 I’m Jose, Year 1 VFX student and I’m from the Central American country of El Salvador and this is my story as an international student at Norwich University of the Arts. So you arrive in Norwich as an international student, and you think, what next? I’d settled into my halls and I found myself exploring the city in my first term, you get to live and breathe Norwich. If I can tell you one thing to do as a visitor to Norwich? I’d say spend your time discovering the coffee shops dotted across the city. You can try so many different types of coffee, but The Little Red Roaster on the Norwich Lanes is my favourite. They have a Nitro Brew which is a cold, refreshing coffee but there is nothing better than their Latte with mint essence, which is made from the incredible coffee beans roasted in the shop in small batches and the essence of mint making for the best combination. One of my favourite things to do is try new coffee places with my friends. I believe there is a coffee shop everywhere you look! For food in Norwich, I’ve discovered Middleton’s Steakhouse which is down in the Cathedral Quarter, a five minute walk to campus. Middleton’s has the best steak and ribs in the city, it is totally worth the extra splurge for a treat. Speaking of the Cathedral Quarter, another must see of Norwich is the Cathedral, the architecture and history is both overwhelming and amazing. There’s lots of events throughout the year at the Cathedral including NUA’s annual Bishop’s Art Prize competition and exhibition. I walk the short walk to university from my halls at All Saints Green and I manage to almost always find inspiration across the city. There are many artists and spaces to find your creativity like the grand medieval castle, Norwich Castle Museum and Art Gallery. When visiting the Museum and Castle, I was excited because not only have I never been inside a preserved castle but the shows exhibited are impressive. The different art collections on display include fine art, archaeology and natural history. Recently we went on a VFX course field trip to explore the atmospheric effects such as “Rayleigh Scattering” and investigate how it could inspire and improve our VFX!